Official Site of the Tattooed Preacher > Uncategorized > THANK YOU!!! The May 8th Book Launch was a HUGE success! I’d like to thank everyone who purchased and helped me advertise Quantum Christianity: Believe Again on the day of the release! 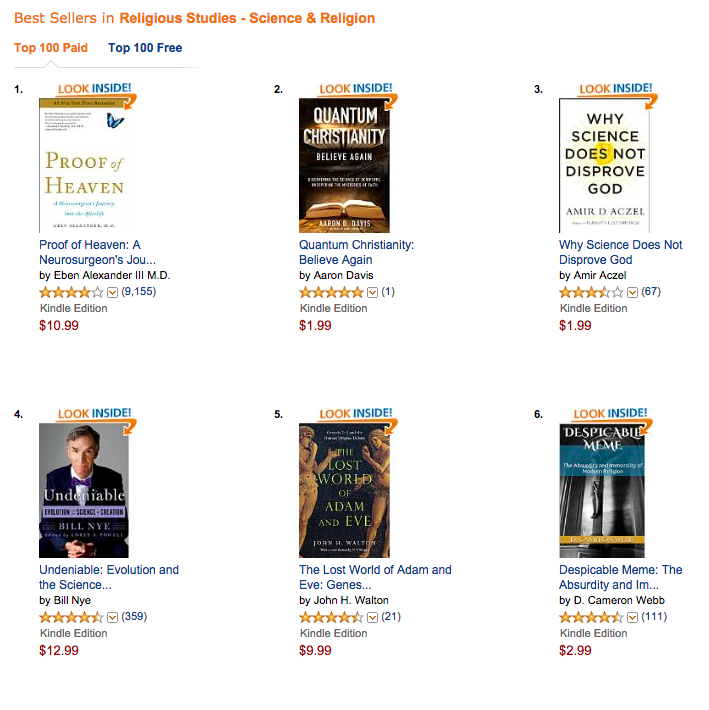 We hit #2 on the Amazon’s Best Seller list in Science & Religion! It was funny because I didn’t even know that it had reached this status until the end of the night when Lisa pointed it out to me. It was a really nice end to a very special day to say the least. Thank you all for being a part of it!